If you’re in the SaaS business, there’s two things you need to focus on. The first is getting traffic to your website. There’s lots of ways to do that but let’s save that for another day, and assume your site gets visitors (check out my previous post about a Saas marketing plan or this handy guide for creating marketing plans by our friends at Venngage). Now you need to focus on your second goal: converting your website visitors into customers. OK, that all sounds well and good, but exactly how do you go about doing that? Well, did you know that 8% of all Google searches are for phrased questions that begin with the words who, what, where, when, why, how, and am I? Think about that for a minute. What does that tell you? It tells you that people aren’t initially looking for a product or service, they’re looking for answers to their questions. That means you first need to help your customers’ answer their questions BEFORE you can even begin to think about selling them your products and/or services. Before you begin thinking about how to market any given product or service, you first need to identify your customers’ problems and pain points. Then you can highlight the problems your SaaS will help solve. It is, but you need to take it one step further for it to work effectively. You need to agitate your customers’ problems by pointing out the things others have already tried but that ultimately failed to fix their problems. Then you offer your SaaS solution, with the solution being your Call to Action. This action will then lead them to you as the solution and an end to their pain. 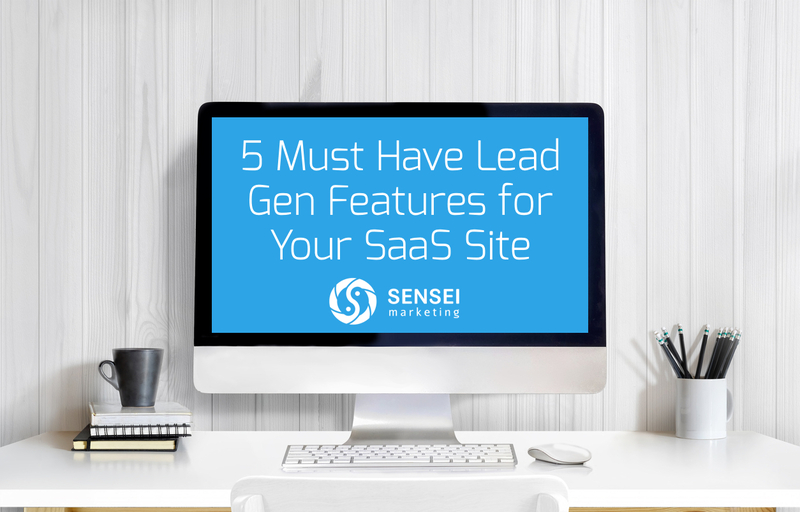 Knowing your demographics along with compiling detail filled customer personas will tell you exactly who your SaaS is for, which, in turn, will make your marketing efforts more effective while boosting your sales without wasting any of your ad spend. In addition, once you’ve identified your customer personas, you will need to structure your content in a way that will appeal to that particular persona. For example, the type of graphics and visuals you use on your website should reflect your ideal customer, as should any tiered plans and pricing. And anything else that will show your visitors why your Saas product is better than anyone else’s. A shocking 84 percent of people will trust an online review as much as they do a friend’s recommendation. That’s why social proof is very powerful and, therefore, must be made a top priority in your marketing efforts. Testimonials and online reviews will build trust with your brand. So it’s important that you ask your customers to submit a review while making it easy for them to do so. It’s also important to monitor your brand’s online reputation to address any potential problems that arise before they damage your reputation. Another credibility builder is to include customer testimonials, reviews, a security seal, and the company logos of businesses who use your products or services on your website. This provides at-a-glance social proof for everyone who visits your website. These can be placed above the fold, next to your testimonials, as well as near your call to action to help encourage clicks. Getting your customers to take action is what marketing is all about. Therefore, you must have a prominent, enticing call to action or offer some type of irresistible free trial, if you want to encourage your website visitors to act on your call to action. Your call to action or free trial should be placed above the fold for those who don’t like to scroll, and again, at or near the end of your message for those who read the entire page. Everyone who visits your site will be in a different stage of the buying cycle, so no matter what stage they’re at having a primary and secondary conversion goal(s) helps to bring them into your ecosystem for future engagement. If you’re only testing your landing page for a few small variables such as headlines and colors, etc., then you’re not taking your conversion testing to the full extent of its potential. Try broadening your conversion testing to also include multivariate testing, moving the navigation, removing distractions, experimenting with clickable graphics, adding and subtracting different trust seals, etc. Free Trial vs Request More Info (in my experience, allowing prospects to ask questions and simply request more info about your software has led to more conversions versus free trial offer). The average SaaS blog receives almost 600 organic search visitors per month. The top 10 percent of SaaS blogs receive more than 45,000 organic search visitors per month. About 36 percent of the highest performing SaaS companies have an educational blog. And educational blogs receive 14 percent more traffic than PR or News-focused blogs. So with these types of statistics, it’s important to include an educational blog on your website if you want to increase your brand’s exposure, build authority in your industry, and generate more leads.